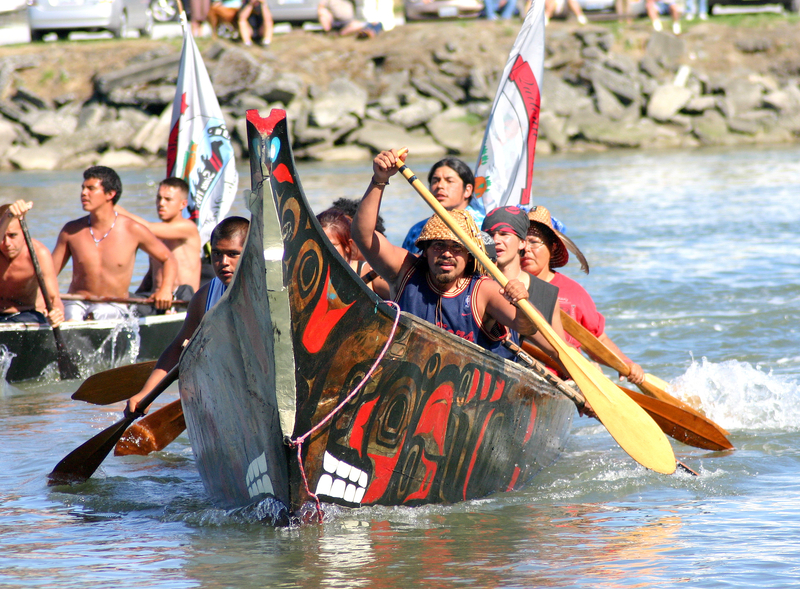 I think some environmentalists opposing fossil fuel export on the Salish Sea believe that Coast Salish tribes will be able to defeat Wall Street in this battle. I would not place much confidence in that assumption. In addition to the Citizens Equal Rights Alliance/Tea Party anti-Indian campaign, federal departments — especially Interior, Treasury and Commerce — under Obama have intensified the attack against tribal jurisdiction. Given the make up of Congress and Obama’s commitment to Wall Street, tribal opposition to fossil fuel export could — like tribal sovereignty itself — be extinguished with the stroke of a pen. When the feds pay lip service to tribal sovereignty, what they intend is for it to evolve into some form of municipality, subject to state and county jurisdiction. Where exceptions to this are allowed, it is primarily seen by Congress, the White House and Wall Street as opportunities to develop energy and mineral resources without regulatory oversight. Under the Roberts U.S. Supreme Court, American Indian tribes have been on a seven-year losing streak. All the above is corrosive to environmental protection and democratic governance within tribes as well as society as a whole, as can be seen on energy-rich reservations like the Navajo, Crow and Mandan. It also plays into the cynicism and resentment promoted by white supremacist organizations. Very few environmentalists seem aware of how vulnerable tribal sovereignty is, and place inordinate faith in its effectiveness as a bulwark against environmental devastation by Wall Street and the feds. If anyone doubts this, they should talk with the Choctaw and other Gulf Coast tribes whose lives have been ruined by Obama’s executive order waiving environmental rules that led to the BP disaster.